Because of the ruble's continuing devaluation in the first six months of 2015, wine imports from the EU to Russia have decreased: The new prices are too high for consumers. For the first time wines from Abkhazia have become a leading wine import. 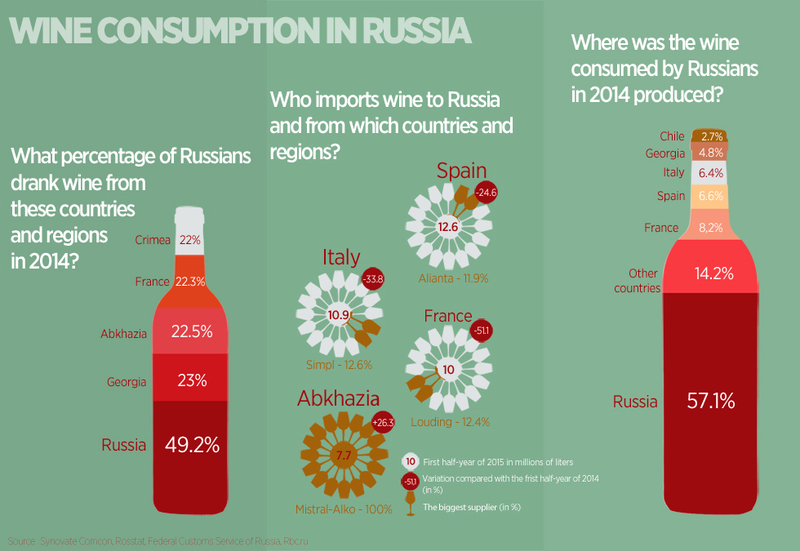 How are Russians' wine-drinking habits changing?